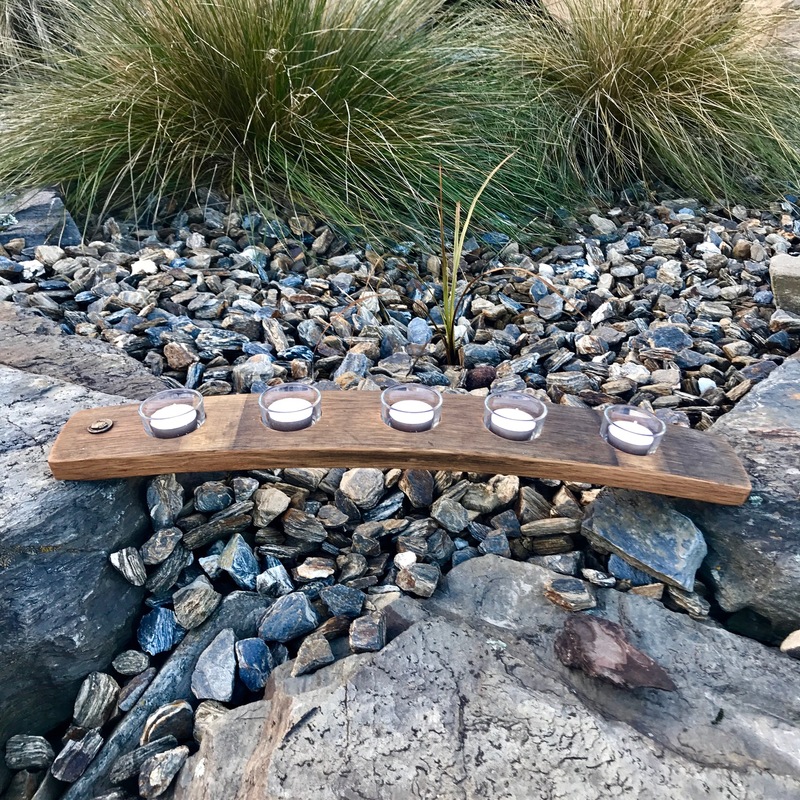 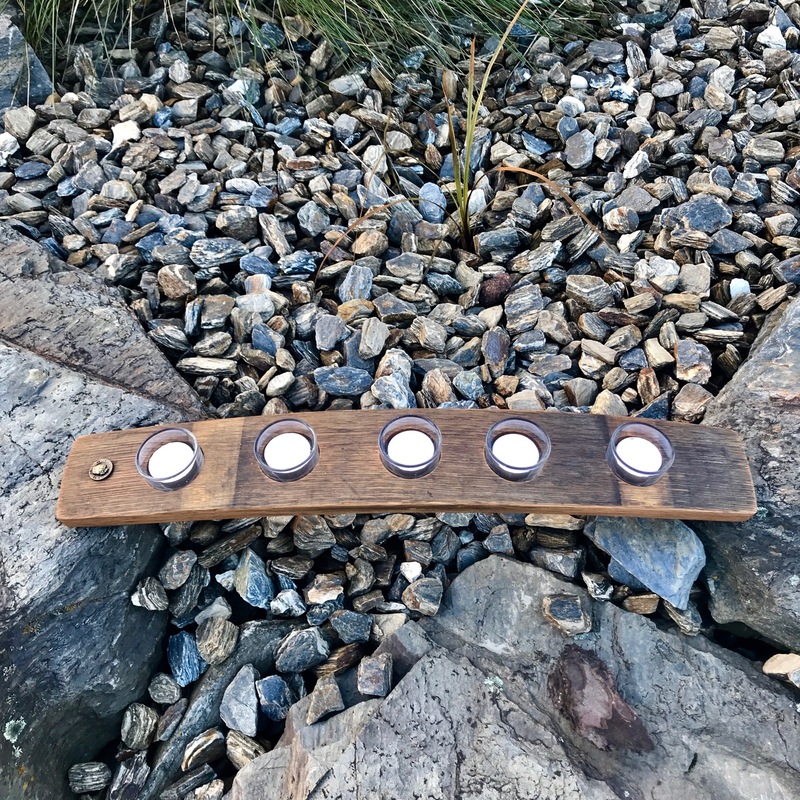 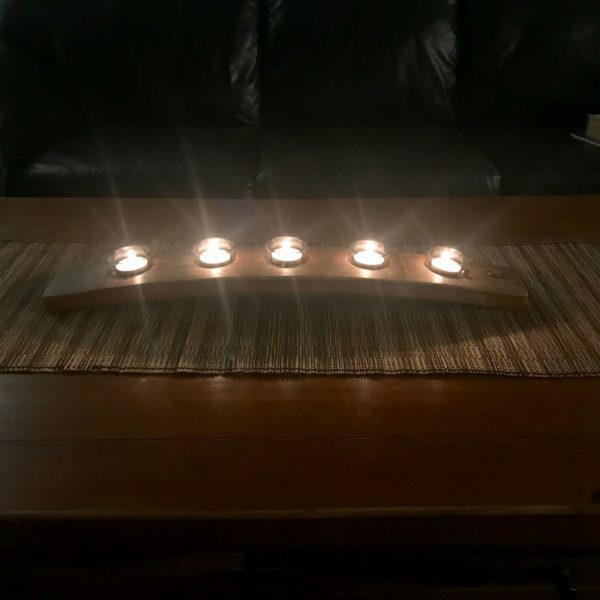 Made from the centre of a wine barrel stave with 5 removable easy to clean glass tea light holders offering some resistance to wind. 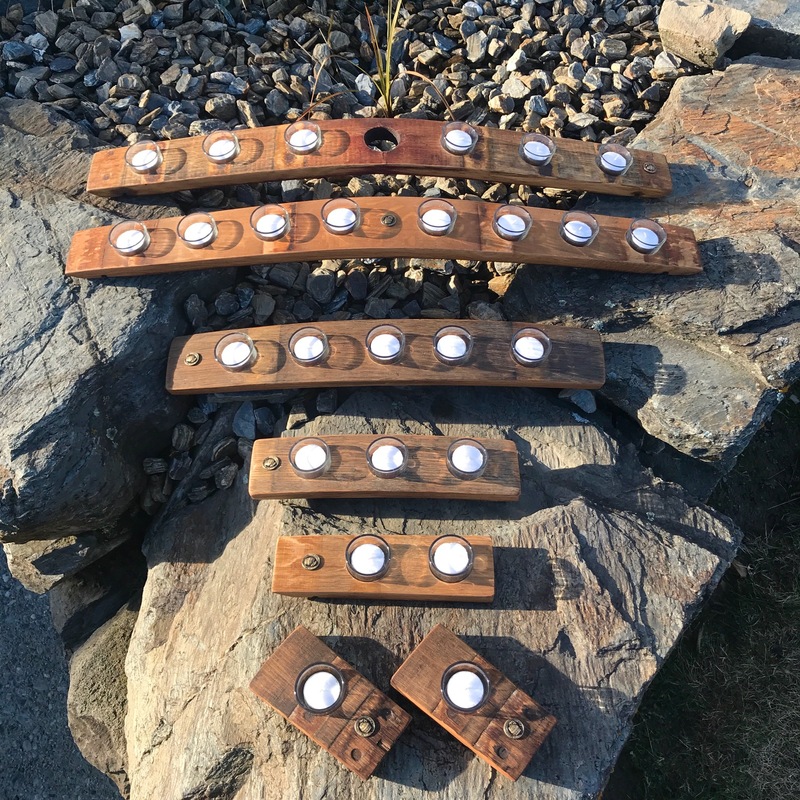 Glass holders will fit either 4 or 9 hour burning tea lights. A sophisticated look on smaller tables or window sills. 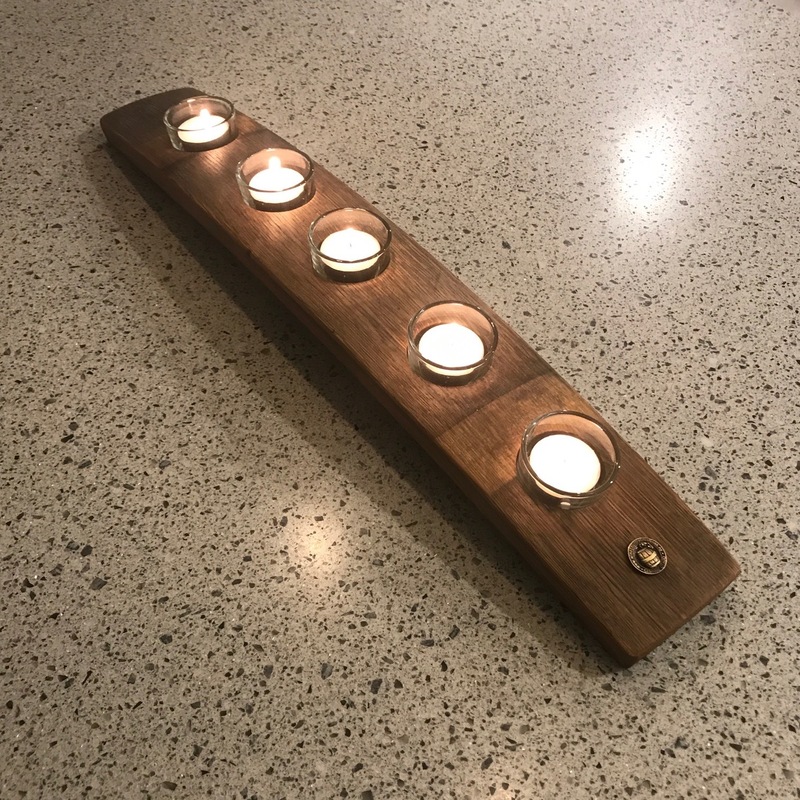 Approx 580mm long.